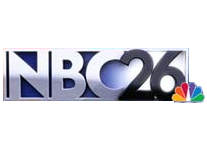 Watch for Fleet Feet Sports' own Leah Schapiro every Monday morning between 6:50AM and 7AM on NBC26 WGBA-TV as she shares health tips & tricks with the community. Miss this past Monday? Click HERE to find out what your hands and feet could be telling you!